Hallandale, FL — Linebacker Sh’mar Kilby-Lane earns elite status for a 2015 Bowl Game. 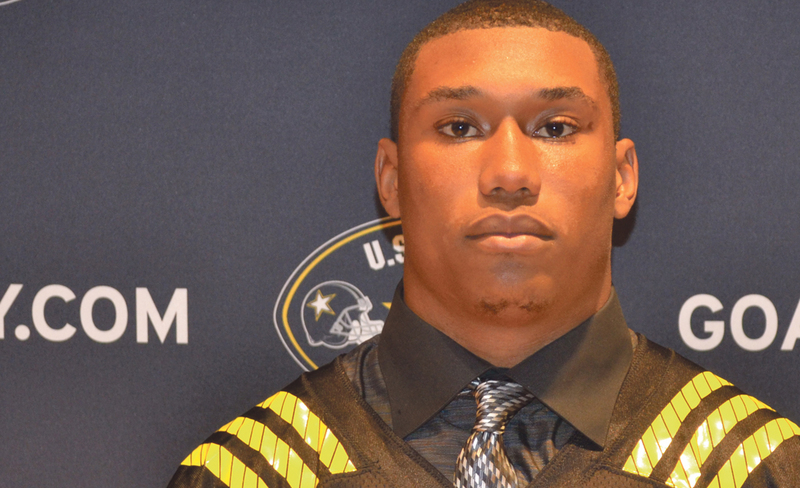 Kilby-Lane of Hallandale High School, Hallandale, Florida, has been selected to join a group of All-Americans for the 2015 U.S. Army All-American Bowl. Those selected will play in the annual East vs. West match-up on Saturday, Jan. 3, 2015, at the Alamodome in San Antonio, Texas. The game will be televised live on NBC at 1 p.m. EST and will feature the nation’s top 90 high school football players. Kilby-Lane was selected by the U.S. Army All-American Bowl Selection Committee, which consists of All American Games, 247Sports and XOS Digital. U.S. Army All-Americans are eligible for the U.S. Army Player of the Year Award, the Anthony Muñoz Lineman of the Year Award, the American Family Insurance Defensive Player of the Year Award, the Pete Dawkins Game MVP Award and the Felix “Doc” Blanchard and Glenn Davis Awards. As a result of Kilby-Lane being selected for the U.S. Army All-American Bowl, his head coach Dameon Jones is invited to travel to San Antonio to attend the U.S. Army Coaches Academy, an elite three-day learning experience, and participate in Bowl Week activities.